Before we get to the party, let me catch you up on what's been going on this week at DIYbyDesign. You can check out the new Drexel Heritage mirror I scored at Home Goods that I hung this weekend in my dining room. It took some shifting of furniture and pictures, but it was all worth it. I also reinvented a window seat by transforming it with contact paper. To finish it off I added new fabric on the seat and two new pillows. I made the wall art as well. 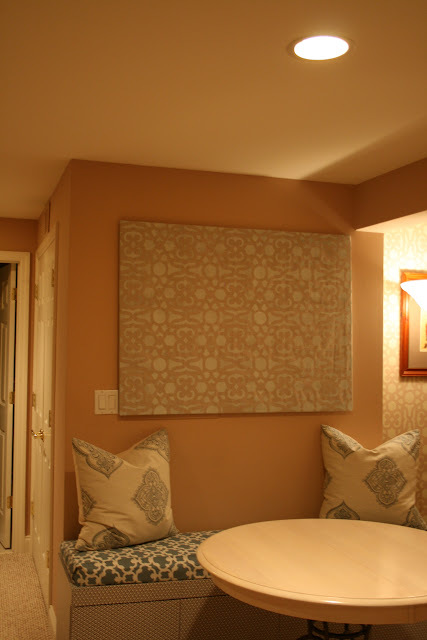 Do you love Showhouse tours as much as I do? Head on over to Worthing Court for the full tour of this beautiful Showhouse in Greensboro, NC. 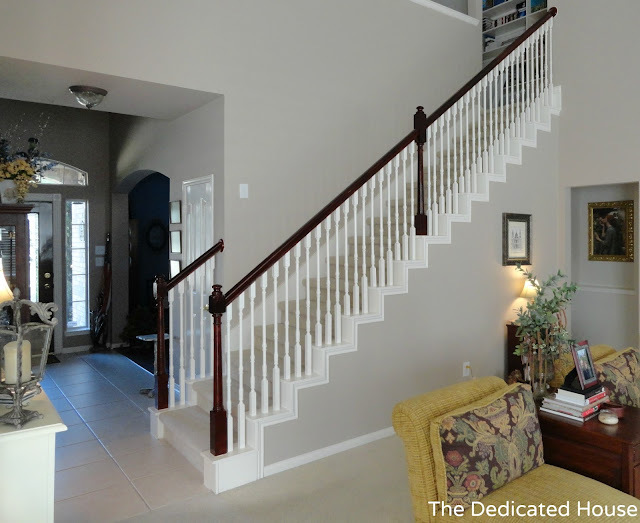 The Dedicated House stained her banister from builder's grade oak to this gorgeous mahogany. What a huge difference it makes to the room. 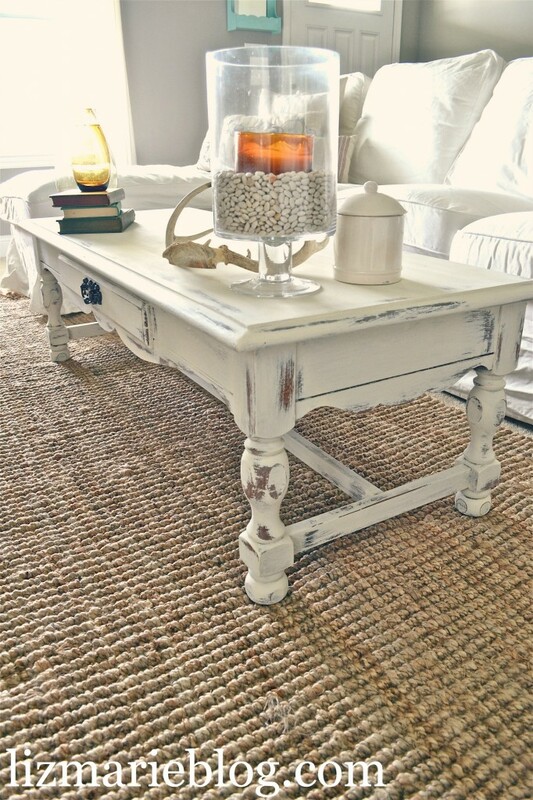 Liz Marie Blog did an awesome job transforming this coffee table into a shabby chic beauty. House of 34 transformed an old dresser into this stunning piece. Love the details. Amy Allender shares a tutorial on how to create a wreath using brown paper bags. There was a Crooked House shares a great tutorial on how to make your own placemats. Homey Home Design shares her recipe for creamy hot chocolate. This is perfect now that temperatures are starting to drop. Yummy! 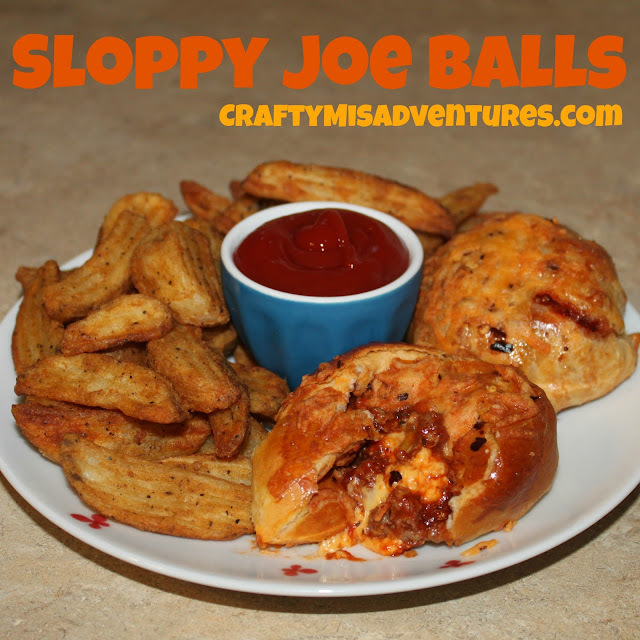 Crafty Home Improvement (Mis)adventures shared her recipe for sloppy joe balls. Thank you for featuring my post about the showhouse, Judy! And as always, thank you for hosting your fun party. Off to check out the features. Love what you did with your seating area! Your mirror is gorgeous Judy! Thanks for hosting each week. Thank you for featuring my hot chocolate recipe! Have a great week, and thank you for hosting!!! What great features! Thank you for hosting Judy, always love to party with you! This is a great season for fun projects. Thanks for hosting. Thanks for hosting this great linky, I hope your Wednesday is awesome! Thank you for featuring my Sloppy Joe Balls! You totally made my night. What great features! Thanks so much for hosting each week! Thank you for featuring my dresser makeover! Hope you have a great week. You have a gorgeous, by the way. Love your design and decorating style. Great features! Maybe I will have something to share soon!!!!!!! So pumped for the feature! Thanks for showing off my wreath. I'll be back to link up a cool project next week. Keep up the awesome work! Hi, found you at the new Linky List Directory. I'm a new follower and look forward to inspiration from you and Linky participants. All of these look so great but I especially like that hot chocolate recipe. Gorgeous mirror, Judy! Looks beautiful with your other decor. I really like what you did with the eating are...adorable! Thanks so much for the link party! I am posting some homemade costumes for kids! Thank you for hosting! Love all the features! Thanks for hosting! Enjoyed all of the features from last week. Those Sloppy Joe balls are making my mouth water. Thanks for hosting the party. I have linked up and look forward to visiting some of the other links for inspiration. You chose some wonderful features. I need to try the hot chocolate recipe - it looks amazing! Thank you for hosting. The buffet is gorgeous, along with that beautiful mirror. Lots of inspirations. Hi Judy, great features this week. Thank you for hosting. Oh my gosh! I sure do like that mirror! Very pretty! Thank you for hosting.